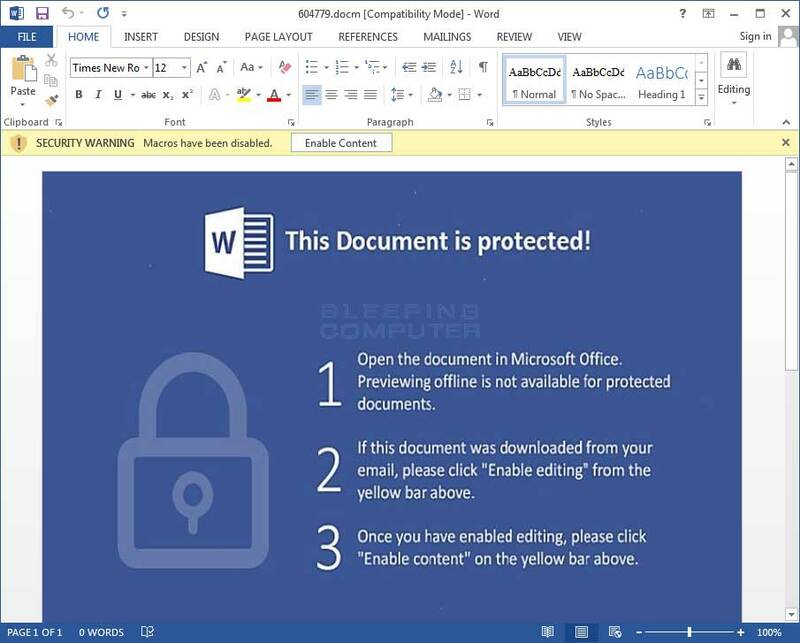 The ransomware is dropped following a distribution method we have been seeing more of recently with Dridex which involves embedding a Word document within a PDF file. When the user clicks the OK button, the rogue Word document is displayed. The attack relies on users opening up malicious attachments that will appear legitimate. Many studies have shown that users are often the weakest link in an attack chain and criminals know that too well. This current wave of SPAM comes in the form of emails that pretend to be payment receipts with various subjects. According to an article by My Online Security, the email subjects include Receipt 435, Payment Receipt 2724, Payment-2677, Payment Receipt_739, and Payment#229, where the numbers change. DO NOT OPEN PDF FILES FROM EMAIL!!!! !